I don't care to argue either, however I must continue to stand by what I wrote, be it weird, weirder, weirdest or not. In some cases like Iran under MRP, religion was used and supported instead of knowlede and information. Book wich revealed the true nature of islam were forbidden while the king of aryans went to mecca and kissed the arab symbols. I disagree. Iran was one of the most secular muslim nations of the Middle East under MRP, I don't think it was possible for Iran to be any more secular at the time. MRP's rule made the secularity possible, especially when you consider what Iran had before and after, which made the Pahlavis like an oasis of secularity amidst total corruption, looting by the Europeans, superstition, and drug addiction. The Shah wasn't perfect, he made mistakes. But all things considered, clearly the good that he did, and the good that people enjoyed under his reign far outweighed the bad. I myself am very grateful to MRP because of all that good! I also disagree that MRP fobade books on the true nature of Islam. My father came from a small rural town in Iran and he was educated thanks to the 'boors' or scholarships that MRP gave out, and he became a professional, but all his life he was critical of Islam and had a wealth of books on the subject (yes thats where I get it from). My father aquired all of his knowledge, up to graduate school in Iran, using the Iranian education system of that time and books that were available in Iran. All of these became his references for his criticisms of Islam. Also my maternal grandfather, who lived in Iran his whole life, and also received all of his education in Iran was also very critical of Islam, and had many books on the subject. Therefore my experience and the experience of my family does not verify what you claim. The problem is not lack of a monarch, the problem is lack of information. I wish. I wish it were that simple. You see back in 1979, most of Jebhe Melli and Iran's dissidents were highly educated, and they had plenty of information. Bakhtiar who was a dissident and one of their colleagues was heading a transitional government charged with holding democratic elections and warning everyone day and night on TV and in newspapers that "Khomeini would be a thousand times worst". He was supplying the information to everyone. But what did our best educated do? They betrayed Bakhtiar, sabotaged his government, and publicly supported Khomeini and an Islamic Republic. Ultimately in the absence of monarchy, with all the information that you speak of, even our best educated couldn't help but relegate power to the top Mullah, which is my point precisely, that in the absence of Monarchy the Mullah$ reign supreeme, even Iran's best educated followed this cultural script to perfection in '79 despite all of their information! And what did Iran's intellectuals do after the disastrous lesson of Khomeini, and all of that information? Why, find another Mullah to follow, called Khatami. So you see, in the absence of monarchy, its been one Mullah after another! And tomorrow when they become president, the second a Mullah gets a crowd going from the Manbar, once again they will have to toe the line! That is why Ferdowsi wrote that whole poem about the disasters that will befall the land when the Manbar equals the throne, which Ferdowsi wrtoe centuries before the Islamic Revolution from H.e.l.l.. And Ferdowsi's book was readily available under the Shah (in fact he commissioned some magnificent editions), and most people knew the poems off by heart, including illiterate peasants, they had that information and still they did not heed the warning. Information alone won't do anything, the same way it didn't back in '79 and the same way it hasn't since. Could England have had a Reformation without a monarchy? Could the monarchies of Europe have undergone secularity, modernity, and progress without monarchy ? Could Spain have become the economic and democratic miracle that it is today after a century of civil war and destructive political radicalism without monarchy? You know back in 1976 when King Juan carlos returned to the throne, Spain was the poorest country in Europe, its economy in total shambles. In the last 25 years Spain has become stable, democratic and prospersous with a booming economy, real estate in Spain is the amongst the most expensive in Europe. During that same time, Iran has gone to total complete **** at the bottom of IMF's Index of economic competativeness without a monarchy even though ltieracy rates have gone up, and take a look at all the African Republics festering away in a vicious spiral of civil war, corruption, Aids and Badbakhti! Look at how far Ethiopia has come without a monarch, a truly sorry and sad tale, almost as sad of that of Irans. It takes more than just information. Iran should be so lucky to have that 'more', which in my opinion would be a secular, liberal, demcoratic Constitutional Monarchy, if the people choose it. And if they don't, they can just as easily have another oppressive, dysfunctional and corrupt Republic, they are a dime a dozen in our world, in fact they are the most common system of government in the developing world! But in the end, it ain't up to you and me, despite our strong opinions about the form of government, its up to the people and what they choose. Dear Spenta Thank you for your respond. It is obvious that there are endless methods that could have been used to inform the people about the true nature of Islam, it was not and hence we fall for a Islamic Republic. In contrary to your stament I believe that information will make a difference in a society. It will take generations but soon or later the "khorafat" will be replaced by danesh. Offcourse education alone may not be helpfull as "DANESH" must be followed by "BINESH". You see people that have no education at all in middle of a village in Iran still they are able to see clear while there are people in the New York without binesh who are not worth dime. Binesh will accure in generation but education is a must. See, I believe that there are bad republics as they are bad C.Monarchist. It is obvious to everyone with binesh. The name would not matter it is the core that counts. A bad republic is similar to a bad CM. A Democtaric Republic can be as effective as any CM against dogma and religious fanatism. I belong to the new generation that is why Iam a memebr of a party that is born with the new generation. To me is just as weird that people who call themselfs Melli are more arabzadeh than the next one as a king who dreams to be saved by Abbas and his journeys to mecca. Now, 26 years later we have experienced the Islamic Republic as well. What is the price we have paid and what do we get in return? The price is the highest you can think of, you are involved in this and you know this as well as the readers. What are we getting for this high price? I believe that we soon or later had to go through this period of time to realize that religion do not belong in politics and we have had the opportunity to learn about Islam. This is indeed valuble as we now are able to make the Iranian culture become alive again. Another issue that we have learned is that fanatism in any form or color is wrong. There are idiots running joining Ansar ALLAH and they get red in the face as soon as they hear the word allah ,this is indeed identical with Ansar Shah who in their stupidity are proud and to be shahollahi just as the next guy is proud to be hezbollahi. Hezbullahi has the means to kill while the other guy have to be satisfied by profanities nevertheless they are the very same. Lets agree that we agree on removing the islamic republic and rebuild our country. Let the voters decide Republic or Monarchy meanwhile lets protect democracy and distance our selfs from ignorance and stupidity. ps.sorry for the typos and misspells. The movement for a referendum is a fantasy solution to the real challenge of bringing democracy to Iran, says Kaveh Ehsani. In autumn 2004 a number of Iranian activists and opposition figures launched a website calling for support for a referendum to change Iran�s constitution: from an Islamic Republic to a secular polity inspired by the Universal Declaration of Human Rights. Thousands have signed this petition, which has raised considerable debate. I have not signed this petition, even though I do agree with the vital need to bring about fundamental structural changes to the existing system. In my opinion this petition, despite being well-intentioned, is na�ve politically, and will prove to be irrelevant in the long run in contributing to the democratisation of the Iranian Republic in a practical way. Please post your responses in our discussion forum; and if you can afford it, send openDemocracy a donation so that we can continue to facilitate dialogue among Iranians. This plan is all tactics and literally no strategy. 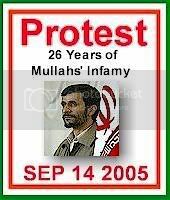 Suppose millions of Iranians (the website is called www.60000000.com) click the internet link and sign this petition. What then? The notion that the coercive apparatus of the Islamic Republic � the �guardians of the revolution�, the veterans, the �devotees�, families of martyrs � will stand by to see this system�s demise is simply too divorced from Iranian realities. The claim that civil disobedience will then force the regime�s hand is speculative, since there are daily instances of local riots and upheavals in Iran, but there is no linking organisation to channel discontent into collective demands. If the regular electoral tallies of the eight years since Mohammad Khatami�s election in 1987 have proven anything, it is that the �conservative� forces in Iran have the solid devotion of 8-12 million supporters. By calling for complete system change (without having built the political and organisational network to back it up) the referendum movement is inviting a brutal crackdown, with no means on the ground to resist it. No undemocratic regime will stand aside and accept regime change, unless actual organised opposition overwhelms it. Electronic signatures on a website will not do. Changing an unpopular political system will be difficult. It is the task of political leadership to ready and organise the population in practical ways to make it possible. No such network-building has been pursued by those calling for the referendum. It is easy enough to call for signatures for a change; the job of building such political networks is far harder, thankless, and risky. It is possible that the proponents of the referendum movement have been inspired by the �velvet� revolts of east-central Europe. It may also be the case that they have been encouraged by the aggressive posture of the United States in the region, and its willingness to challenge the Iranian regime on a number of issues. If that is the case, I am afraid this may well prove to be a miscalculation. The Iranian conservatives, contrary to appearances, are not nearly as �hollowed out� as Eduard Shevardnadze�s or Leonid Kuchma�s regimes. After his loss of power in Georgia, Shevardnadze relocated to his villa on the outskirts of Tbilisi. Even Idi Amin found refuge in Saudi Arabia, when he had to flee Uganda. Where will Ayatollah Khamenei go once he is deposed? Conservative forces in Iran feel they are fighting for their collective physical and existential survival. With no friends or allies on the world, they will fight to the end if cornered. Foreign intervention in the form of Security Council sanctions or US military strikes will unleash Iranian nationalism, as well as become a pretext for a widespread crackdown on the remaining liberties in Iran. My fear is that a broad but unorganised referendum movement, under present circumstances at least, will only plunge the democratic movement and the country into a worse situation. The referendum movement�s goal may be more modest: to inspire public activism, in a society where the continuous political struggles of the past eight years have left the population by and large exhausted and highly cynical. If the intent is to prove, yet again, that public opinion is highly critical of the regime, and that the population wants fundamental change, I don�t think the petition for the referendum will add anything new to the dozens of similar petitions, open letters, party platforms and public stances highly critical of the regime that have been coming out with regularity over the past few years. There is repression in Iran, but the political classes have not been afraid to speak out, despite the high cost. Public opinion does matter in the Islamic Republic, but the ruling conservatives showed in the last parliamentary elections that they are willing to shed any pretence of caring about it, so long as they can assure their own survival. Where does that leave us? There is no question that Iran is currently facing perhaps some of the most serious challenges to its very survival as a nation-state. Social fragmentation, anomie, a rise of separatisms, delegitimation of political classes and elites and a de facto economic depression alleviated only momentarily by high oil revenues, have created a dangerous potion. The urgent task of Iran�s democratic forces is to build grassroots social and political networks that can mobilise the population into solidarity groups around specific programmes. The era of mass politics, nebulous sloganeering and magical solutions by revolutionary regime change are over in Iran. This will require on-the-ground, long-term democratic vision and dedicated and risky hard work. I am hopeful that at least a significant segment of the political classes in Iran are increasingly coming around to realising this necessity. Many wise words there. Mass civil disobedience might only result in a bloodbath of peaceful demonstrators unless reaction forces are nearby in the form of pre=arranged 'friendly' military/police units or well armed and numerous resisters ready to intervene to protect the demonstrators and deal with their attackers. The threat of regime thugs ['vigilantes'] armed with clubs and hammers seems different in degree from regular and special ['riot'] police. The thugs, many of whom are foreign fanatics and mercenaries brought in by the regime, are not so well equipped as the police, but have seemed much more likely to attack peaceful demonstrators as opposed to merely arresting them. These cowards would not likely attack when greatly outnumbered, or attack crowds obviously prepared to retaliate with similar weapons. One solution might be to have decoy crowds, where many or most are carrying axe handles or similar devices concealed in clothing and ready to deploy if needed in self defense. (Might even have a few clean shaven men veiled and chadored amidst a crowd of women and ready to reveal themselves if needed!) If the regular police will not protect peaceful demonstrators, then these demonstrators carrying concealed arms may have to exercise their inherent right of self defense, through use of deadly force if necessary. If some of these regime thugs die while attacking peaceful demonstrators, perhaps a good example can be made by placing their bodies in prominent locations with signs stating the reason for their death, such as "regime oppressor of the people" or "This thug attacked Irani women". Perhaps make the signs in both Farsi and English. These images should be distributed as broadly as possible so that both supporters and opponents of liberation can see that life will now be safer for freedom-lovers and more dangerous for oppressors. Diplomatically isolated and, after the mass boycot of the 2004 parliamentary elections, robbed of its ability, courtesy of its apparatchiks abroad, to continue claiming legitimacy at home, the Islamic Republic was cornered when the �Sazegara referendum� first made its appearance. From the onset it was clear that its promoters, including individuals well known for their collaboration with the theocratic regime, were not opposed to the institution of the Islamic Republic as such, but were pushing for a plebiscite solely on a constitutional revision of the powers, though not necessarily the legitimacy, of the Supreme Leader Ali Khamenei. The proposal, then, was viewed not as one meant to bring meaningful change, but as yet another measure to save the regime. Faced with criticism and indignation instead of a warm welcome, the proponents of this �referendum� explained that fears as to the kind of government favored by its initiators are unfounded, pointing to a paragraph in the manifesto explicitly demanding �the creation of a democratic system of government which is in harmony with the provisions of the Universal Declaration of Human Rights.� It was pointed out, in return, that the kind of �democratic system of government� advertised may well be in harmony with the provisions of the UDHR, but that such harmony would not preclude the emergence of a modified Islamic Republic as the result. The concept of an Islamic Republic, after all, is not incompatible with the UDHR, as there are no provisions in the UDHR in support of the separation of Mosque from the state. The farce has continued since. The Sazegara �referendum� is designed to hit two birds with one stone. On one hand, a modified, cosmetically enhanced Islamic Republic with a revised constitution will remain an Islamic Republic. On the other, it will avoid the referendum on the form of government, Monarchy or republic, favored by the Iranian people. 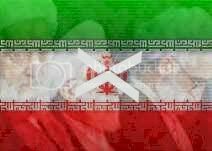 The manifesto of the Sazegara �referendum� makes no mention of the form of government favored by the people of Iran for that subject is precisely what its promoters are trying to avoid. The Iranian opposition does not need the Sazegara �referendum�. If the Iranian opposition is opposed to the Islamic Republic, then by definition it does not �accept� the Islamic Republic. The Islamic Republic will hold its presidential elections on June 17. Mass boycotts of these elections will function, once more, as a referendum on the legitimacy of the Islamic Republic. If the advocates of the Sazegara �referendum� were actually concerned with the question, �Do you accept the Islamic Republic, yes or no�, then they would have concentrated on efforts to boycott the June elections. Not surprisingly, Ettehadiye Jomhurikhahan (Federation of Republicans, made up of the various republican groups) is endorsing the Islamic Republic�s Presidential Election Show in June, and asking people to participate. These republicans have caused our motherland enough misery with their Islamic Republic and now with no shame they come and say lengthen the filthy Islamic Republic's existence! They can go fool someone else!